State-of-the-art manufacturing machines do not make your tools – our people do. Our employees are committed to quality and the process controls needed to make our tools at the highest quality and precision possible - and we are proud to stamp OTC on our products. From the initial phone call to final delivery there are process controls in place to ensure product quality. These process controls assure our customers consistent reliability from piece to piece, and order to order. This attention to detail earned us our ISO certification in 1998 and has allowed us to maintain this certification over the years. View our ISO Cert here. 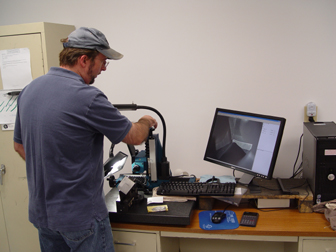 OTC will provide cutting tools that conform to customers’ requirements while continually improving our quality system. OTC’s name represents quality to us, our vendors and to our customers.